Our step-by-step process is easy to follow, making your license application a breeze! Get yourself prepared BEFORE you visit the DMV. You must obtain a South Carolina driver's license from the South Carolina Department of Motor Vehicles to drive on public roads. Below, we've outlined how you can apply for a new South Carolina driver's license, whether you're a long-time resident, new to the state, or a non-citizen. South Carolina allows new residents to transfer both out-of-state driver's licenses and beginner permits. You have 90 days after becoming a South Carolina resident to transfer your out-of-state license. You do have to pass the vision test, but you do not have to take the knowledge or road skills exams UNLESS your out-of-state license is expired for 9 months or longer. Apply for Your SC Driver's License below explains the ID documents, fees, and other driver license application requirements. Like long-time SC residents, you must hold your new SC beginner permit for 180 days; however, the time you held your permit in your former state counts toward those days. You must take and pass the vision and knowledge tests. Refer to Getting Your SC Learner's Permit and Apply for Your SC Driver's License below for detailed information about ID documents, fees, and other driver license application requirements. Just Moved to South Carolina? As a new resident, you've got a lot on to transfer and update to your new home state! Find all the information you need to finish your moving requirements with the DMV. You're a military member or dependent with a valid out-of-state license. You're a student at an SC school, college, or university and you hold a valid out-of-state license. Eventually, minors obtain a Class D license, too; however, they must first work their way through the state's GDL process. Visit our Teen Drivers section for more details. Regardless of age, you must obtain an SC driver's permit before applying for a new driver's license. You must hold your permit for a full 180 days. You can apply for your license on the 181st day (or anytime after). Have at least 1 year of driving experience. Sit in the front passenger seat. Read the full driver license application process below to find out how to get your driver's permit and then your license. In accordance with the Real ID Act of 2005, the SC DMV began requiring what it calls additional credentials. These credentials make driver licenses and ID cards more tamper-resistant and help prevent fraud and identity theft. REAL ID License: What's Changed? Level 1—You can see the new features with your own eyes. Level 2—You need a magnifying glass or ultraviolet (UV) light to see the new features. Level 3—Only forensics specialists can see the new features. Your driver's license appearance has changed. Your ID requirements and fees have NOT changed. Drivers don't need to replace current driver's licenses until they expire. You cannot revert back to an old driver's license once you have a new credential license. The SC DMV provides a thorough New Credential FAQ section, as well as visual examples of the state's new driver's licenses. Name and date of birth (e.g., U.S. birth certificate, passport, etc.). Social Security number (e.g., Social Security card, military identification card or dependent card, etc.). Citizenship (e.g., U.S. birth certificate, passport, etc.). Residency (e.g., current employment records, state or federal tax records, etc.). You need 2 documents proving your residency. Refer to the United States Citizens' Checklist (Form MV-93) for additional examples. Legal name change, if applicable (e.g., marriage license, divorce decree, etc.). Application for a Beginner's Permit, Driver's License, or Identification Card (Form 447-NC). This is your basic driver's license application. Report of Vision Screening for Non-Commercial Beginner or Driver's Licenses (Form 412-NC). Selective Service Requirement (Form 447-SEL). Route Restricted Driver's License Application (Form DL-127). Application for the Hearing Impaired (Form RG-004A). To prep for the written test the DMV suggest studying the South Carolina Driver Manual, but who has time for all that reading, and how would you comprehend the material? We suggest preparing for the exam with an online practice test. These study assistants are designed to help you pass on your first attempt. Bring any required corrective lenses. You DO NOT have to take the written exam if you're from a country that has established a formal reciprocity agreement with SC. See below for details. Once you obtain your beginner permit and hold it for 180 days, you can apply for your full Class D driver's license, which means passing the driving test (see below). You can either schedule an appointment for your behind-the-wheel skills test, OR take a walk-in test between the hours of 8:30 a.m. - 1:30 p.m ONLY*. Bring your beginner permit and a licensed driver. Be prepared to pass your vision test again. Provide a properly titled, registered, insured and safety compliant vehicle. Take and pass your road skills exam. You DO NOT have to take the driving exam if you're from a country that has established a formal reciprocity agreement with SC. See below for details. Pay the $25 license fee. Congratulations—you're now a licensed South Carolina driver! New licenses stay valid for 8 years, after which you'll need to renew. 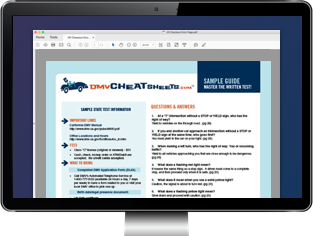 *NOTE: Some third-party programs are authorized to administer DMV tests; however, applicants must understand that even if these programs are authorized, the DMV still reserves the right to require its own examiners to administer tests, as well. Learn more at the One Stop Driver Training and Testing Programs website. On your 1st or 2nd attempt, you must wait 2 weeks before trying again. On your 3rd attempt or subsequent attempt, you must wait 60 days before the next attempt. On your 1st or 2nd attempt, you must wait 1 week before the next attempt. Once you pass your driving test, your DMV examiner will inform you when you'll receive your new SC driver's license. Any non-immigrant granted temporary entry into the United States. Certain SC DMV locations handle non-citizen SC driver licenses. Check the SC DMV's list of International Customer Offices. As an international customer, you'll follow the same application process as U.S. citizens (including possibly obtaining a beginner permit; see below), except you'll have some different document requirements. There are some countries that have a reciprocity agreement with South Carolina. The South Carolina DMV provides an International Customer Checklist (Form MV-94) to download from its website, which explains requirements for both immigrants and non-immigrants applying for a new SC driver's license. How long you're authorized to be in the United States. The expiration date on your employment authorization document. You cannot present a valid driver license from your home country. Your home country does not have formally established reciprocity with the United States (see the list below). Your license expired and you didn't renew it within 9 months. Your out-of-country license credential is valid (unexpired). Your country meets the knowledge and skills test based on the type of license you are applying - driver's license, motorcycle license, or CDL. You must meet the same ID document requirements as those listed above. Use this DMV form to apply for a South Carolina learner's permit, driver's license, identification card, OR moped/motorcycle license. Can be used to request an original, renewal, duplicate, or correction. Department of Motor Vehicle's application for a SC placard, learner's permit, AND/OR driver's license for the hearing impaired. The DMV's checklist of required items for people from out-of-country who are applying for a SC identification card, learner's permit, or driver's license. You must complete this form if you don't pass the Department of Motor Vehicle's vision screening for a South Carolina driver's license. A licensed eye doctor must complete the form. Apply for a route-restricted SC driver's license to drive to work OR school if your driving privileges were revoked. Give consent for the SC Department of Motor Vehicles to send your information to the U.S. Selective Service if you meet age and gender requirements.